FSA ND Report by Allen Dronsfield!! 2018 11 02. Allen Dronsfield Speaks: The tournament was very well attended. The event was held at Hawthorne, featuring Men’s Dbls. and Ladies Dbls. Applauding Bill Jones and his crew for doing a great job at setting this tournament up, and great PA system as well. Also Pauline and her crew for again providing a great lunch. Donna King was the Director again this week as she works overtime in directing. The courts started off pretty slow for Hawthorne standards but progressively got faster. The rain held off in order to get this one in. There was excitement to be had as Frank Cherill came in with partner Rick Enright, probably the projected winners. Frank had a streak of four straight wins coming into this one. Another note! Allen Dronsfield was taking a fair well tour this week as he will be transferring out of the Northern District next season to play out of Zephyrhills in the Central District. Playing with one of the really good guys and a real gentleman in the game, Charlie Adams. We could not think of anything other than a victory to cap this one off. 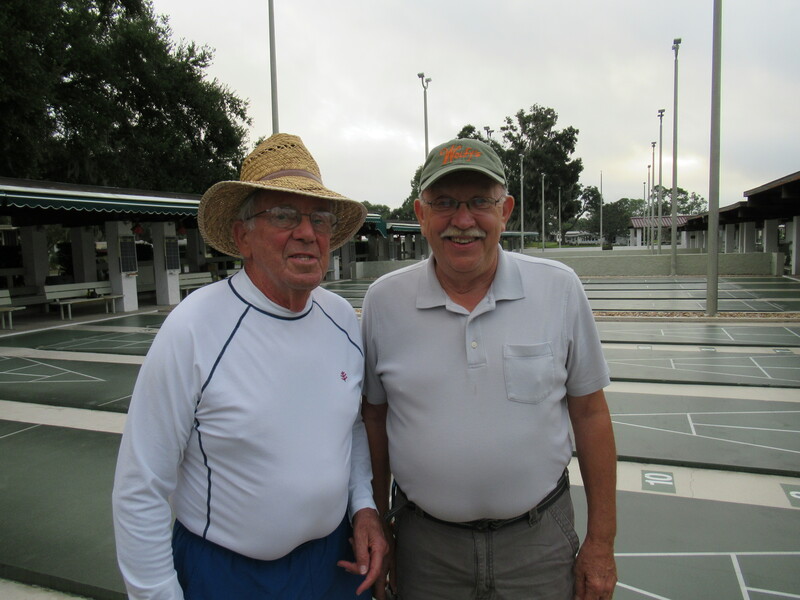 Frank and Rick nearly went home in the quarters but squeaked it out for the win to meet Richard Burkhardt and Ralph Lyon in the semis. Frank and Rick got them to move on to the finals. 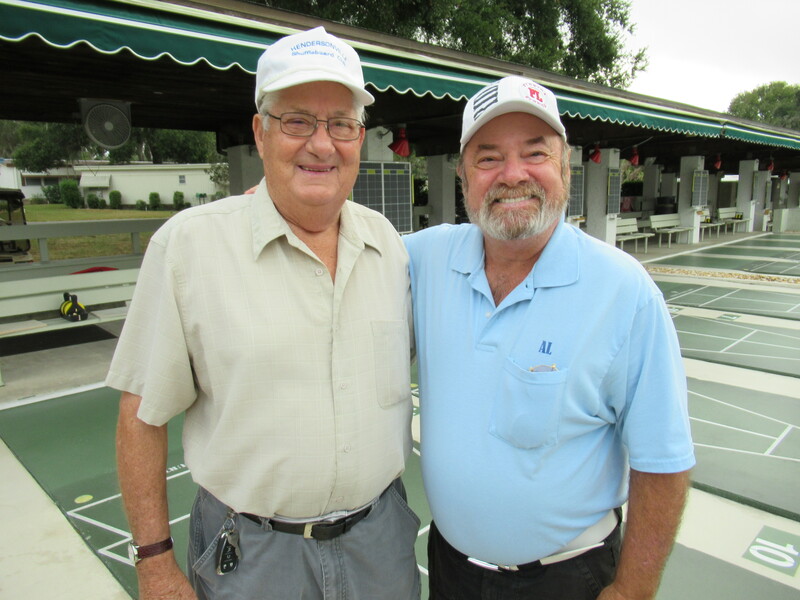 Allen and Charlie came up against Vern Ivey and George Snyder, Allen and Charlie won the first game but lost the second one. Setting up the third game and a lost lag the team of Ivey and Snyder chose yellow after the first two games were won on black. It was a nail biter, a duel to the end, Allen and Charlie got them in the end. Ivey and Snyder played a very strong match. Well here we go, matched up against Cherill and Enright, this could be a good one. Cherill’s streak was broken as Allen and Charlie went on to win and what a great way to say thanks. Charlie has been one of my most visible fans since I first started playing. This one will get archived for sure. Next week we head up the road to Leesburg, courts freshly Nella-Sealed and newly finished disc should provide for a great tournament. This is a Men’s Dbls. 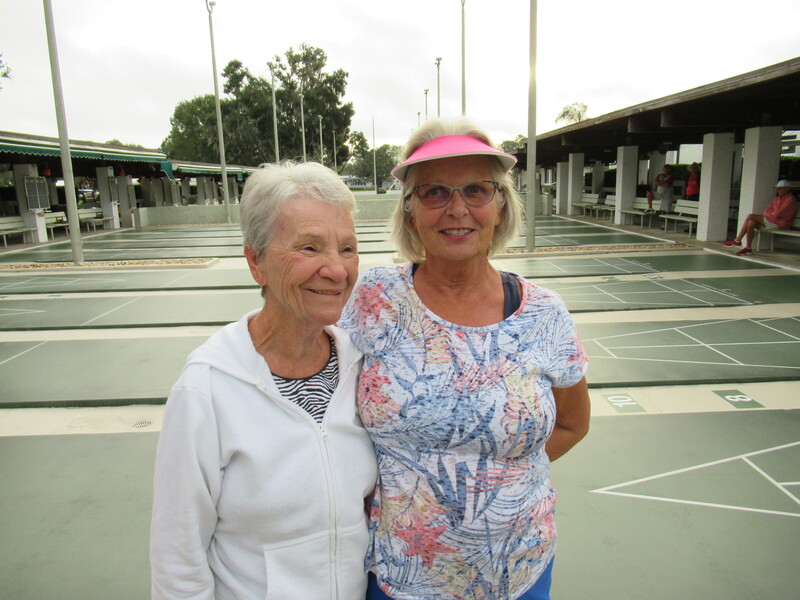 and Ladies Dbls tournament. Let’s not forget about the state tournament being held at Tavares this week, practice starts at 1 until 3 on Sunday. Men’s Dbls. & Ladies Dbls. 4th. 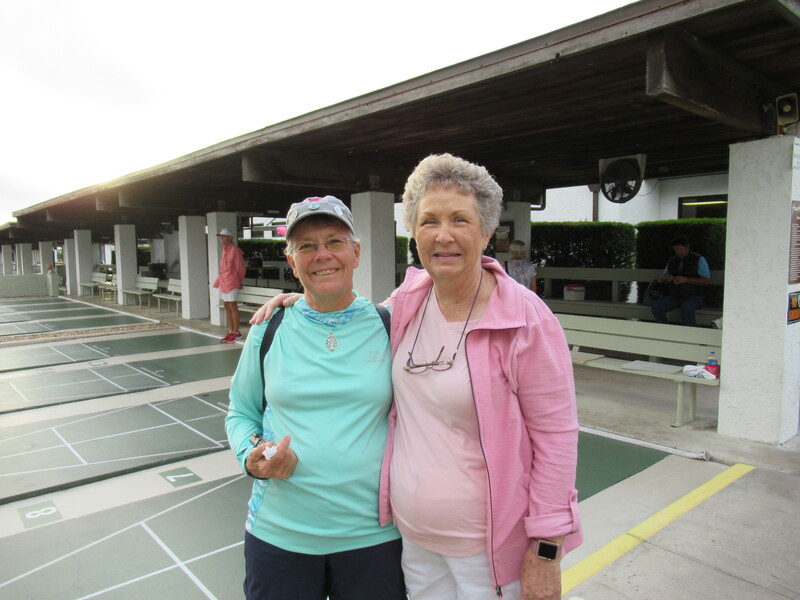 JoAnn Craw/Christine Giumarra ———————————————————————– Holiday Travel Resort/Deland Christine back after a stepping on a disc and had a terrible fall.